One of the advantages of being the creator of Magic: the Gathering is that you get to make your own cards. 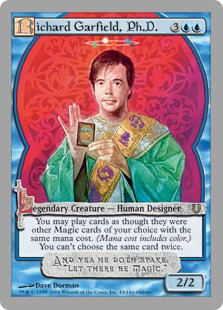 Richard Garfield has used this privilege four times, celebrating different aspects of his life. 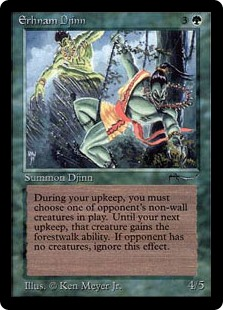 None of the Garfield Event Cards are legal to play in Type 1 tournaments as these cards were never released by Wizards of the Coast and, for that matter, were never really intended to be seen by the public. * Erhnam Djinn (Arabian Nights) - "Erhnam" is an anagram of "Herman," Garfield's brother-in-law. 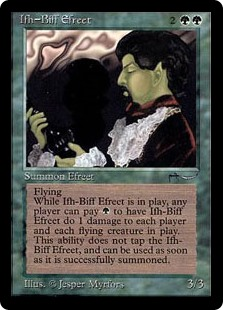 * Ifh-Bíff Efreet (Arabian Nights) - "Ifh-Bíff" was a childhood nickname for Garfield's sister, Elizabeth. 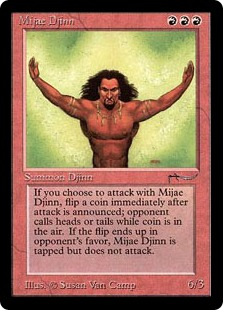 * Mijae Djinn (Arabian Nights) - "Mijae" is an anagram of "Jamie." "Richard Garfield was the best man at his wedding, summer 1993,". * Wyluli Wolf (Arabian Nights) - An Anagram for his wife's maiden name, Lily Wu. * Ydwen Efreet (Arabian Nights) - Richard Garfield was best man when "Mijae" married "Ydwen"-- that is, his friend "Jamie" married "Wendy." 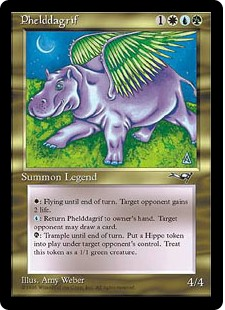 * Phelddagrif (Alliances)- An Anagram for his name, Garfield PH.D.
* Richard Garfield, Ph.D. from the Unhinged set. Proposal is not a real card but a color copy sticker glued to a basic land. It was created to be given to Garfield's girlfriend Lily Wu to propose marriage during a game of Magic. The legend goes that it took four games for Richard to draw the card, but when he finally played it, she accepted. There are 9 Proposal cards in existence. One of them was given to Quinton Hoover, creator of the artwork and one of Lily Wu's favored artists, but was stolen off the table at a convention in Tokyo in 1999 and never reappeared. Another copy was handed to Dave Howell, at that time production manager of Wizards of the Coast and technical creator of the card. The other cards were given to members of the Garfield family and are kept in privacy, as Richard Garfield does not want images of this card to appear in public. A print sheet was created out of a scan of the original art with a full size piece of the art at the top and three cards at the bottom as well with a letter that were given by Richard Garfield to replace the stolen one from Quinton Hoover. The 3 cards are the same with the artwork set inside the frame not the variant with Richard's knee resting on the bevelled frame itself. It is also known that a set of the nine Test Prints exists in black & White. From Quinton Hoover in the Duelist #2: Richard was planning to propose to his girlfriend, Lily. He had this idea to use the game to do it. I hadn't met or even talked to Richard at that point. But shortly after The Gathering came out, I get this call from him, right out of nowhere. He said he liked my work, and asked if I would do the artwork for his proposal card. Man, I was really...incredibly flattered. I did up a piece of him proposing to her, you know, in a fantasy setting. He had Dave Howell made it up in secret, and as I understand it, he played the card in a game around Thanksgiving. I heard it took three Magic games before the card turned up! Well, she accepted. Richard tells me she really liked the card. I wish them a long and happy marriage. The actual Proposal is, in effect, a Beta black border, not-so-round corners, gray (not white) lettering, no second copyright line, no copyright date. Even the text itself is wrong. Allows Richard to propose MARRIAGE to Lily. If the proposal is accepted (no comma here) both players win; mix [remainder is correct]and the line breaks are in the wrong place. 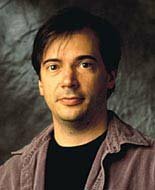 Around October 1993, Richard Garfield approached Dave Howell (aka Snarke) to produce a special card. Richard was planning on proposing marriage to his girlfriend Lily Wu, and wanted to do it in a special way. Richard asked Howell to create a card which he could put into a deck and then cast while the two played. 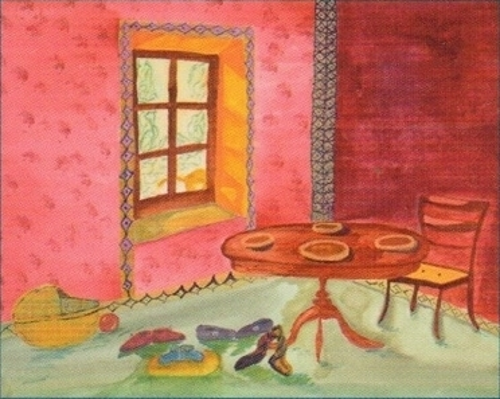 Richard had already contacted Lily's favorite artist Quinton Hoover to create an original piece to be used on the card. The artwork reportedly shows Garfield proposing to Lily on bended-knee wearing Renaissance-style clothing. 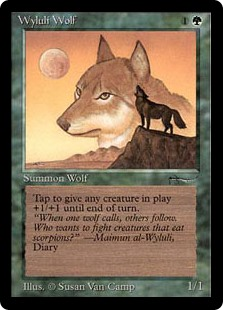 When Howell received the artwork, he scanned the image and then digitally added the card frame, mana symbols, and text. He then created an Iris print from the digital image producing a very high-quality sheet of nine cards. Simple land cards were glued to the backside of the print, and then cut apart. According to Howell, two of the cards were off-center, but seven other turned out well. The cards appear slightly more shiny than real cards, but otherwise very authentic. Howell also said that there are two variations of the card image. Four of them have the artwork set inside the frame, like normal cards. The other five show Richard's knee is resting on the bevelled frame itself. Allows Richard to propose marriage to Lily. If the proposal is accepted both players win; mix the cards in play, both libraries and both graveyards as a shared deck. Lily and Richard did get married and the shared deck created by the casting of Proposal is apparently still intact. The eight other Proposal cards were given to family members, except two. One was given to Dave Howell and the other was given to Quinton Hoover. Sadly, someone later stole Hoover's copy during a tour in Japan and its whereabouts is unknown. Richard and Lily have asked those who do have copies not to publish the artwork, due to the personal nature. Splendid Genesis and Fraternal Exaltation were created to commemorate the births of Richard's and Lily's children. These cards were included in the birth announcements sent to their friends. Additional copies were distributed to Wizards of the Coast employees. It is estimated that one sheet of Splendid Genesis cards and two sheets of Fraternal Exaltation cards were printed, indicating 110 copies of the former card and and 220 copies of the latter card to exist. The first birth announcement came with a card-sized square-cornered glossy sticker of a Spendid Genesis card glued on the front. The announcements were only given to family and friends. The employees that rounded out the 110 print-run of the Splendid Genesis card did not receive the Announcement. So, there’s more cards than Announcements out there. 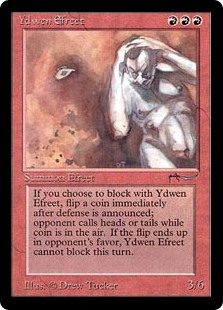 The drawing on the card was done by Monique Thirifay an early WotC employee. The flavor text is taken from the book: Love in the Time of Cholera by the Colombian author Gabriel García Márquez (1985 Spanish version, 1988 English translated version). Fraternal Exaltation has a glossy MTG back. 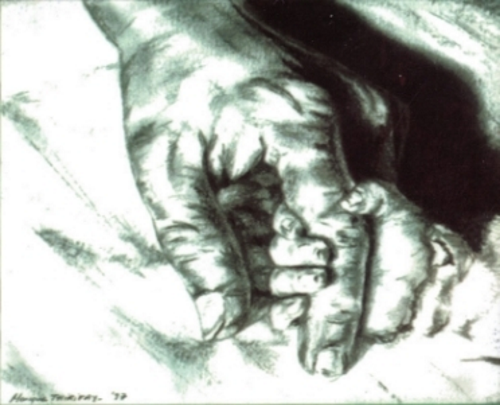 The drawing on the card was done by Susan Garfield, the sister of Richard Garfield. The flavor text is taken from the Children's counting book: One, Two, Three by American author Sandra Boynton (1993). Q: "This may seem like a ridiculous question, but...this has actually come up. Are Proposal, Splendid Genesis, and Fraternal Exaltation legal to play in Type 1 tournaments? While Proposal is impossible to obtain, both Splendid Genesis and Fraternal Exaltation can be purchased from some reputable warehouses. If they are legal, what is the Oracle text for Splendid Genesis and what happens if the third player wins a game in a tournament?" 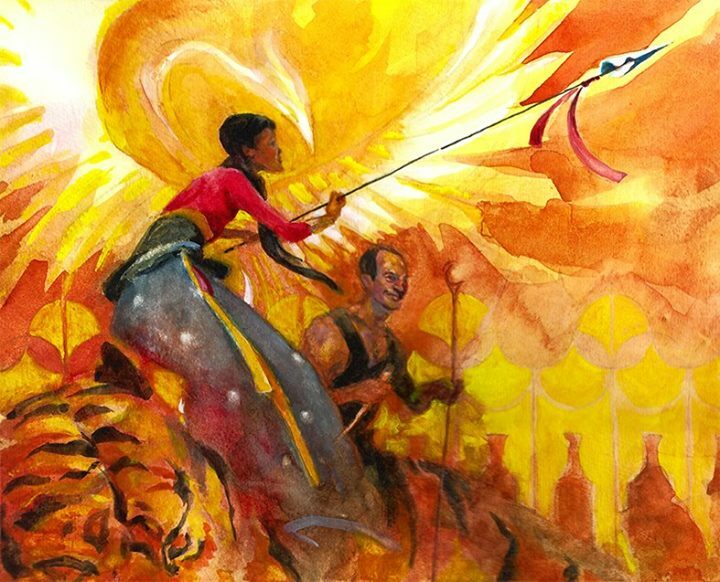 "While I think that's being a little harsh, it's true that the cards don't fit under the definition of being legal for Type 1, which says that 'Type 1 tournament decks may consist of cards from all Magic card sets, any extension of the basic set, and all promotional cards released by Wizards of the Coast, Inc.' These cards were never released by Wizards of the Coast and, for that matter, were never really intended to be seen by the public. "For those of you who are a little lost right now, you can read about these three cards here. Unfortunately, though, that's about all you can do with them, as they aren't legal in Type 1 tournaments. "But if there's ever an Open unsanctioned tournament of any sort out here in Renton, I promise to show up just for the chance of seeing one of those cards played. Because really, who doesn't want to see Fraternal Exaltation resolve in a tournament setting? I just hope your parents live nearby..."
Cover, Inside, Back of Splendid Genesis announcement (For privacy, the name of the child and birth date have been obscured). 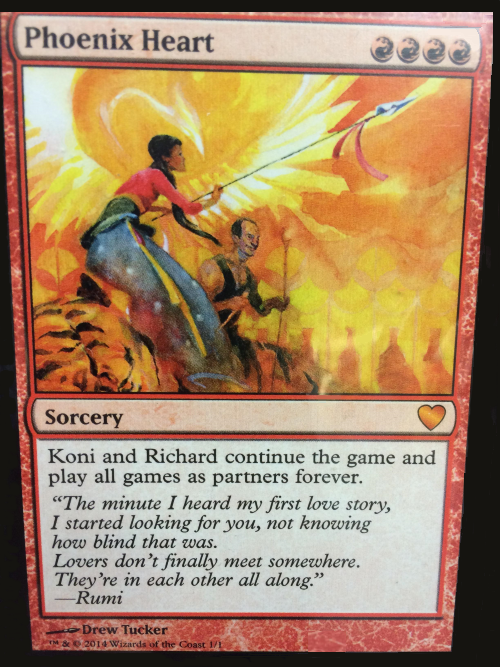 In 2014, Drew Tucker created an original art for Richard Garfield and his fiancée Koni Kim. A card was made out of it. The card was inserted into the marriage invitation, it is not known at the moment of how many of them were sent and how many sheets were printed. Richard Garfield married Koni Garfield on August 29, 2015 in Kirkland, Washington, United States.